The Accreditation Council for Graduate Medical Education (ACGME) demands that physicians should be trained to engage in clinical activities with other health profession providers. Incorporation of advanced practice providers (APPs) into medicine ward teams has not yet been described. 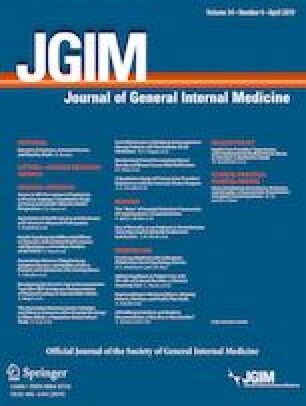 To describe a pilot and feasibility evaluation of an interprofessional general medicine ward team with internal medicine residents and APPs to encourage resident leadership development, enhance service to education balance, and promote interprofessional collaboration. University of Colorado, Internal Medicine Residency Program. Sixteen internal medicine residents, 16 interns, 19 Department of Medicine faculty members, and 8 advanced practice provider fellows in hospital medicine. The authors describe an interprofessional general medicine ward team including team structure, and roles and responsibilities of each team member. Each team member completed an electronic survey following the rotation and the majority agreed that the pilot team allowed for an enhanced resident leadership role, and helped to restore the service to education balance and interprofessional collaboration. An interprofessional general medicine ward team is feasible, has the potential to optimize service to education balance, and exposes learners to a collaborative interprofessional clinical environment. The authors declare that they do not have a conflict of interest. ACGME common program requirements. Available at: http://www.6acgme.org/acgmeweb/Portals/0/PFAssets/ProgramRequirements/CPRs2013.pdf. Accessed 25 Jan 2016. 2017 Statistical Profile of Certified Physician Assistants: An Annual Report of the National Commission on Certification of Physician Assistants. Available at: http://www.nccpa.net/research. Accessed 18 Jan 2019. D’Arrigo T. Getting the most from advanced practice providers. December, 2016. Available at: https://acphospitalist.org/archives/2016/12/advanced-practice-providers.htm. Accessed 18 Jan 2019.